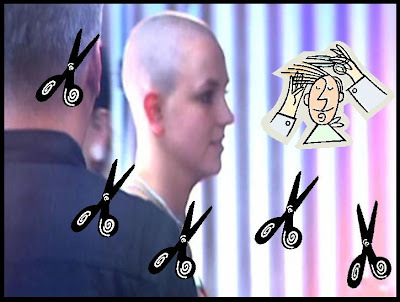 Britney Spears is bald and back from rehab baby, yeah! Yup, that’s a sentence that I never thought I’d say. Britney allegedly checked herself into a Caribbean rehab, but then checked herself out just 24 hours later. What, you can be cured in 24 hours, right? The rehab facility that Britney “gave a good shot” was Eric Clapton’s Crossroads Rehab in Antigua. Ironic that it was called “Crossroads.” I mean she just won’t stop trying to plug that movie. 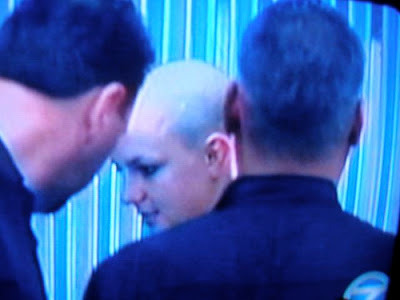 Britney apparently didn’t like this facility so she checked herself out and headed back to LA. According to one eyewitness who was on the plane with Britney, she didn’t even fly first class. She just boarded the plane last and sat in the last row by the bathroom and was very friendly to people who walked by, but wouldn’t take any pictures. My sister has always had this theory that once someone makes a ridiculous amount of money you just go crazy. I mean, she also thinks that people who are filthy rich will eventually burn in hell for having so much money, but I digress.